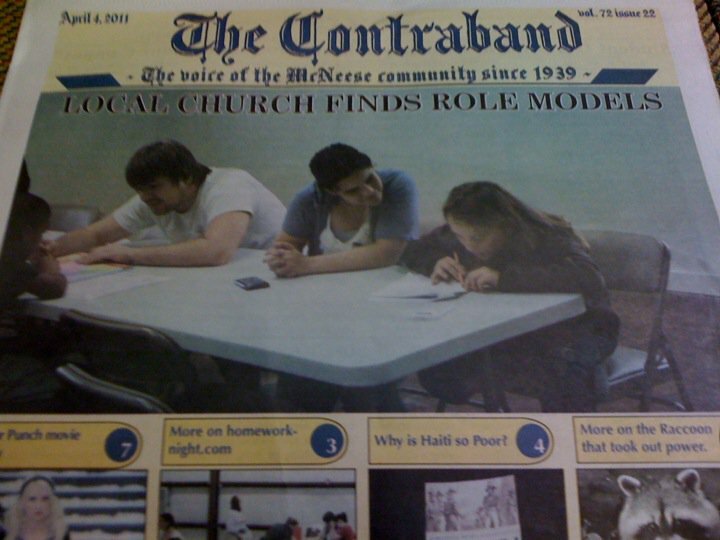 The student newspaper at McNeese, theContraband, interviewed us last week at www.HomeworkNight.com. This is Ryan and Rachel on the cover of the paper today. To which I say...GoJesus! I'm going to pick up a copy today. When we love on people and give of our lives to benefit people, it matters. And people will notice. The kids @ Homework Night are great, and the relationships forming as a result matter. It's how a city gets different, because Jesus is Alive!